If you’ve been thinking about booking an acupuncture session on the Gold Coast but aren’t sure it’s for you, we’re here to tell you it is. 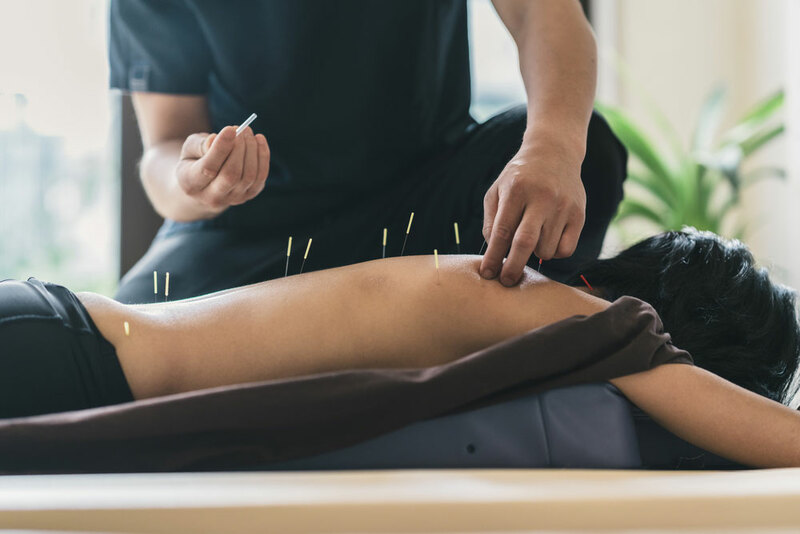 Originating in China thousands of years ago, acupuncture has been used in Eastern medicine and is slowly finding its way into Western medicine. Here are 5 reasons you should give acupuncture on the Gold Coast a go. The World Health Organisation recognises acupuncture as an effective treatment for 28 diseases, symptoms and conditions. Some of the things you can get addressed in your Gold Coast acupuncture session include (but aren’t limited to) allergies, headaches, morning sickness, sprains, hypotension, hypertension, sciatica and arthritis. It’s also recognised as an effective treatment for pain—whether that’s the result or injury or general tension. Beyond this, acupuncture has been used for thousands of years as a means to bring harmony back into the body through the correction of imbalances between the body systems. An acupuncture appointment in our Gold Coast clinic can help to strengthen your immune system, support your nervous system, enhance digestion and get your detoxification and elimination pathways flowing optimally. What’s not to love? Licenced Gold Coast acupuncture providers are required to undergo a 4 year degree and continue yearly professional development in order to maintain registration with the Australian regulatory bodies. It’s a highly regulated industry so you can rest assured you will be in safe hands. It’s always a good idea to ensure the practitioner you choose is qualified and registered prior to booking a session. If you’re worried about the pain, don’t be. Your Gold Coast acupuncture session will be painless. If you are getting acupuncture into tight, sore muscles, there may be some minor discomfort but generally acupuncturists work along the meridian channels (energy channels) of your body and with such fine needles you don’t feel a thing. Whether you’re an insomniac or just a light sleeper looking for more restorative rest, an acupuncture appointment in our Gold Coast clinic may be exactly what you need. Acupuncture has been used clinically to treat sleep challenges for thousands of years in Chinese Medicine. Many people report having an exceptional night’s sleep the evening after an acupuncture session. Generally speaking, sleeping trouble indicates an imbalance somewhere in the body. The very nature of your Gold Coast acupuncture appointment is to correct these imbalances and bring harmony back to your body systems. Good sleep is a natural side effect of this! Contrary to what you may believe, acupuncture is an incredibly relaxing treatment. An acupuncture session in our Gold Coast clinic will help to restore balance to the nervous systems by working to activate your parasympathetic nervous system and switch off the sympathetic nervous system. Check out this blog where we discuss ‘fight or flight’ versus ‘rest, relax and regenerate’ and how acupuncture helps. Activating your parasympathetic nervous system promotes a sense of calm through the body. There are numerous studies confirming the stress-relieving nature of acupuncture. Additionally, there are even a number of studies suggesting acupuncture can help to regulate heart rate variability as well as promising research into the benefits of acupuncture for anxiety and depression. So, if you’re feeling frazzled, overwhelmed or suffering from anxiety or depression, booking an acupuncture session in our Gold Coast clinic could make an incredible difference to your experience of everyday life. Each acupuncture session in our Gold Coast clinic is completely personalised. The practitioner uses specific Chinese Medicine methods such as checking pulses, eyes and tongue and asks questions about your current health in order to understand your unique picture. Treatment is then based entirely on you and your body, rather than the disease or health challenge you’re presenting with. This is quite different to Western medicine which primarily treats the illness or disease with a ‘one size fits all’ approach. During your time with us in our Gold Coast acupuncture clinic, we’ll look at you and your body holistically, taking into account the symptoms you’re experiencing as well as what we find in your body through diagnostic tools. Such a personalised approach has a dramatic impact and can mean that you experience relief from symptoms you didn’t even come to get acupuncture for in the first place. Want to learn more? Ask our friendly team about whether acupuncture is right for you.